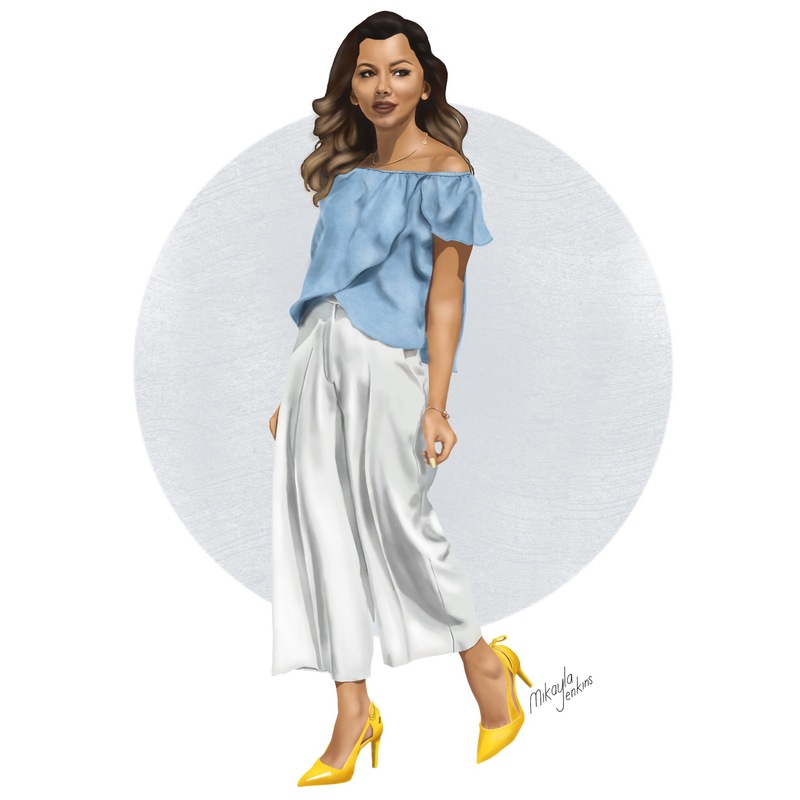 Beautiful with an amazing sense of style, my latest blogger portrait features Dee, of Dee for Dana. Dee’s fashion choices manage to be elegant and sophisticated while still conveying a sense of playfulness. Case in point, those impossibly sunny yellow heels she’s wearing in this illustration. She’s a fashionista after my own heart, because we share a love of cooking and 90’s hip hop and R&B. A gorgeous illustration Mikayla. The skirt and top look like they’d feel soft. Those shoes are amazing. I always look forward to your blog posts. This is a stunning portrait Mikayla! I agree it takes a certain flair to pull off bright yellow heels! You’ve created another beautiful illustration here, with your characteristic attention to detail! I love how touchable you make the fabrics look! Thanks so much for your sweet comment on my blog. I hope you’re having a fab weekend! You are too kind! That you so much, Sheila.